SI5 aim: To establish a university governance system in line with world best practices. To achieve this goal, SUSU will focus on building and developing a truly meritocratic environment. 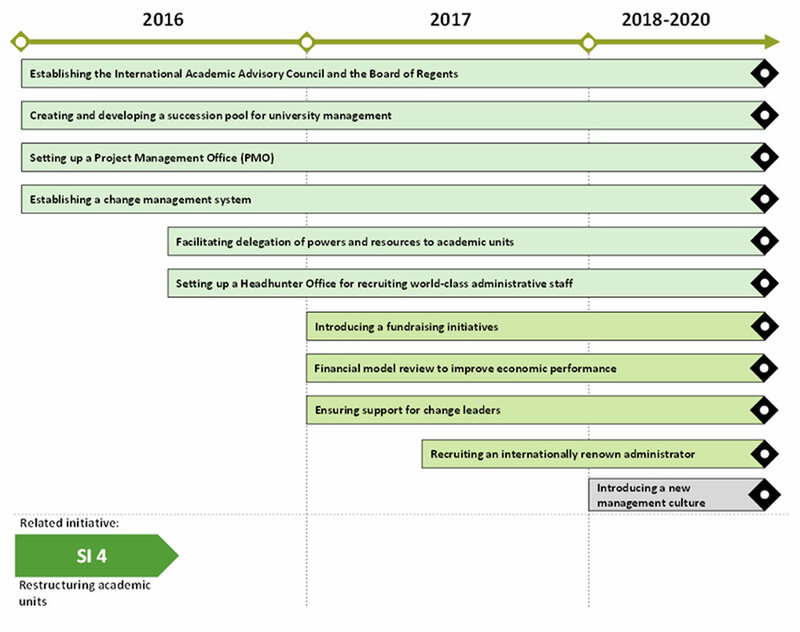 To build such a meritocratic environment, SUSU will need to determine the most appropriate level of autonomy for its structural units, promote the active engagement of talent and introduce efficient incentive system for all staff members. Another SI5 priority measure is to improve the University's financial and economic model and to master an investment approach for financing University activities. For example, SUSU is contemplating of establishing an endowment fund to support the development of SUSU's supercomputer. 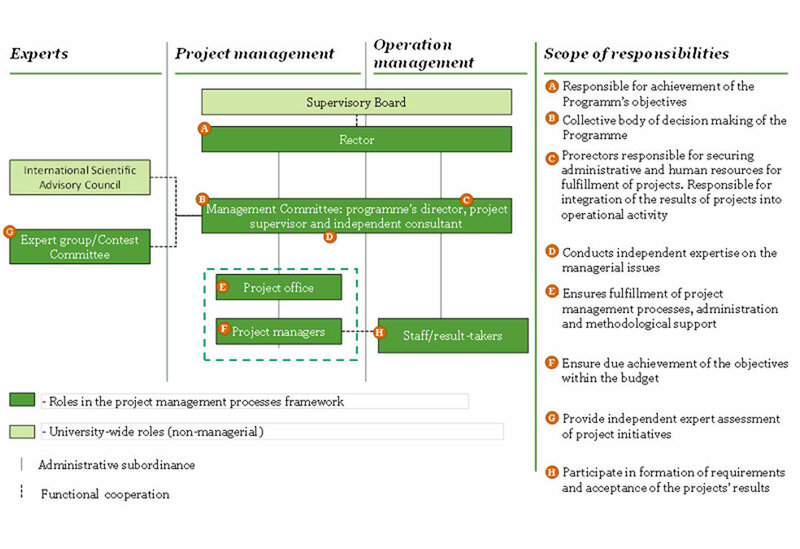 Within SI5 SUSU will introduce project management office and change management mechanisms for efficient 5-100 Program implementation. The management process will be based on clearly defined procedures of competitive resource allocation, collegiate decision-making and independent expertise in specific areas of science, education and management. installing information boards in key public gathering places on campus. All University employees had the opportunity to submit their proposals and participate in the survey on the University's website. Based on the survey data and submitted proposals, area-specific working groups have compiled the Roadmap. As a result of SI5 implementation, SUSU will establish a management system based on the principles of transparency, cooperation and entrepreneurship.